The success of Harcourts Holmwood in Southland is their people and in 2003 the Invercargill team was crowned Number 1 Real Estate Team inAustralasia out of 9395 offices by Best Practice managing director Robert Bevan.Mr Bevan said that the award was for elite performance by a sales team spanning over many years and is the 1st award presented to a sales team. The award was not based on sales figures alone but was recognition of consistent excellence over a body of work of the entire team, from management and sales through to office support staff. 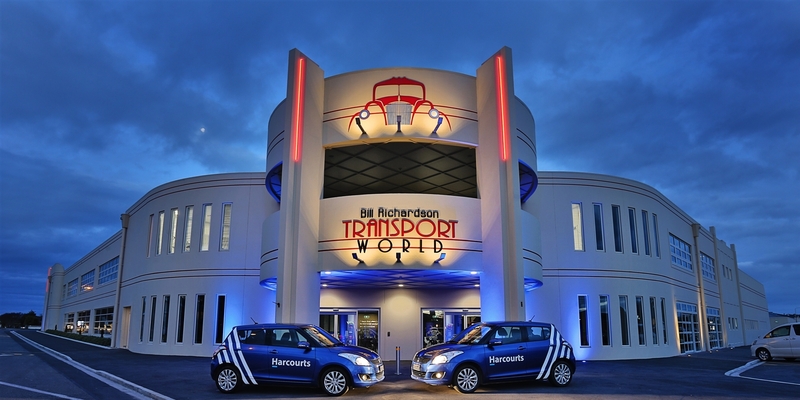 Harcourts' Invercargill and Gore offices achieve NZ first following an exhaustive independent audit process. 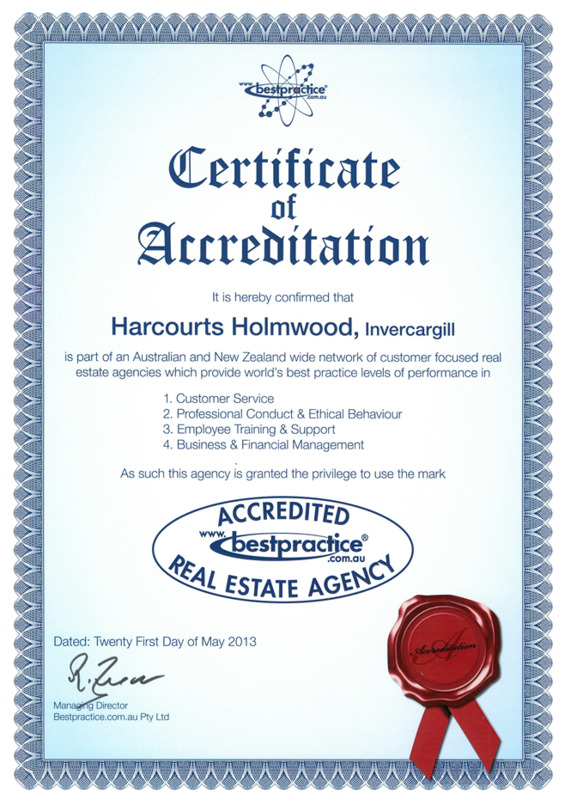 The Harcourts Invercargill and Gore offices, achieved a New Zealand first – receiving Best Practice Accreditation from Best Practice.com.au Pty Ltd, an Australasian company which provides real estate agencies with a highly-regarded system to assist them to improve customer service, market share and profitability. Business Owner Tony Jenkins says he is thrilled his two Southland offices have been the first in New Zealand to gain this independent endorsement. Announcing the accreditation Managing Director of Best Practice Robert Bevan explained the Australasian accreditation is only granted to an agency that has a written Guarantee of Service and complies with top 10% levels of performance in four key client-focused categories: customer service; standards of professional conduct and ethical behavior; employee training and support; and business management. “It is a great honour for Harcourts Southland to be joining an elite network of Australasian businesses that have been accredited as understanding that when it comes to real estate agency practice the customer always come first,” says Mr Jenkins, who himself received The Australasian Real Estate Agency Best Practice Award for 2009. “Basically it independently validates that our business is customer-focused and that the conduct and service of our sales consultants and property managers along with the management, training and support available to them is at industry best-practice level – which is recognition I’m obviously delighted about.